One of the biggest challenges freelance trainers face is juggling the need to work in their business – actually delivering the training and creating training materials – with the need to work on the business and developing its strategic direction. In my recent blog about ‘why you need a thinking day and how to make it work’, I touched on the importance of having time to look at the big picture and keep your business evolving in the best way for you and your clients. 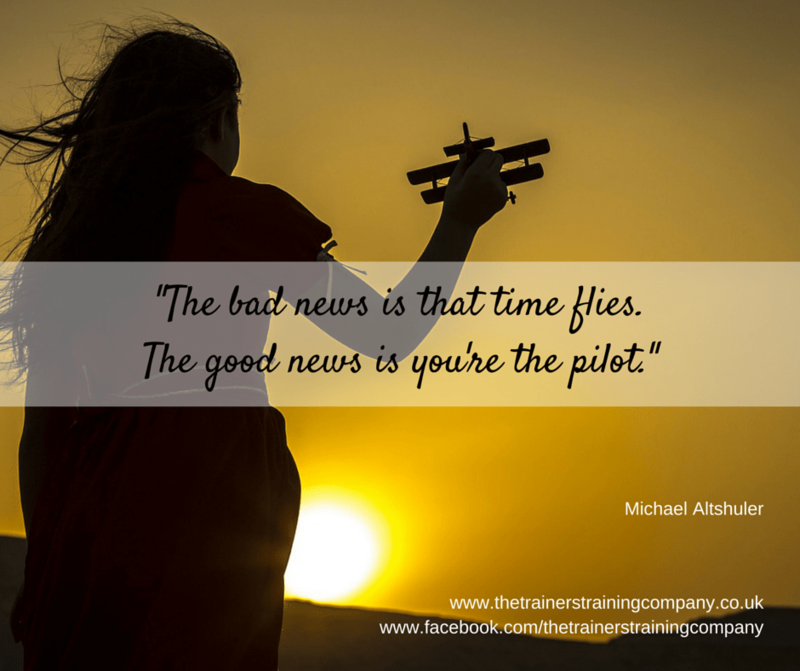 The question I’m often asked is, how do you find time to work on your business when you’re busy with training? When you’re running a training business, it’s easy to lose a lot of time to carrying out small administrative tasks. Answering emails, sending out invoices, posting on social media, etc. can all take up valuable time. Whenever I have a new task to complete, I explore whether it has the potential to be automated. For example, I use the Tweetily WordPress plugin to automate regular posts about my blog on Twitter, so that I’m always creating some new Twitter content without having to do anything at my end. If I have the time to post extra tweets, I can. Email marketing tools such as Mailchimp and Infusionsoft come with features that can be automated. You could create a regular newsletter when you have a quiet moment, but then schedule it to go out at a time that suits your clients. If you frequently receive enquiries that are similar in nature, you could create a series of response templates that can be tweaked if necessary to save time writing a fresh response every time a new email comes in. Also, project management systems such as Trello are helpful for streamlining your to-do list and automating reminders and actions to make sure tasks are completed on time. Although you may be worried about the costs of outsourcing, it should free up valuable time that you can spend on the profitable areas of your business, such as delivering training or connecting with new clients. One of the most helpful tips I was ever given was to make the last task of my work day to write my to-do list for the following day. This helps me to focus on my priorities for the next day and to have a clear action plan in mind before I even switch on my computer each morning. I also find that I’m less likely to let my day get hijacked by other people’s agendas when I’m clear about my own. If you’re anything like me, I bet you find that your concentration fluctuates throughout the working day. I tend to be at my most productive in the mornings, so this is when I focus on completing ‘meatier’ tasks. In the afternoons, my concentration span is shorter and I prefer to spend my time on tasks like making phone calls or answering emails. A different routine may suit you, but planning your work around your productive times can free up a surprising amount of time for different tasks. There’s something about being self-employed that means many of us feel we have to be contactable at all times of the day. If you’re constantly answering your phone or dealing with a steady stream of emails, it can quickly eat into your day. You may also find that you get pulled away from your to-do list to respond to someone else’s or that you lose your most productive times to tasks that would be better suited to other times of the day. My advice is to set your phone to voicemail and only check your emails at times that are convenient for you. Personally, I like to review them when I start work, at lunchtime and before I finish work – the rest of the time, my emails are switched off. The most important thing is to create the time you need to work on your business, even if it’s just for one morning or afternoon a week/fortnight. Prioritising the need to look at the big picture is a great way of ensuring that your business continues to work well for you, rather than becoming a job where you are always responding to the demands of others. When you have time to work on your business and not just in it, you can continue to ensure that your processes are growing with your business, that you’re giving your clients value, that your skills and knowledge are up to date, and that you’re getting the best return on your marketing. 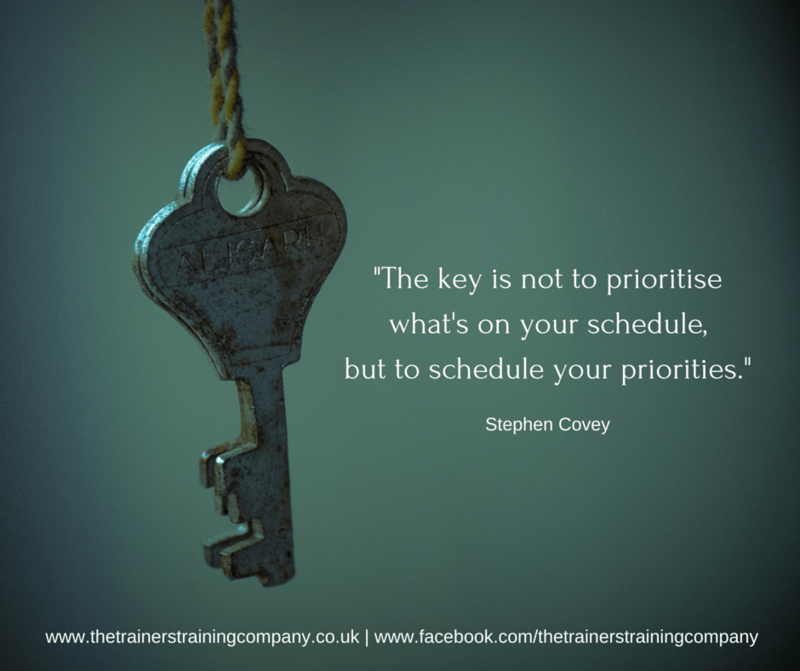 How much time do you devote to working on your business rather than in it? Do you struggle to find time? What tasks do you avoid? What things do you wish you could outsource? I’d love to hear your thoughts in the Comments below. If you’ve enjoyed this article and/or found it helpful, please do hit the social share buttons to spread the word. It only takes a moment, but it means a lot.